I'm very excited to announce that in 2014, I will be hosting my first ever reading challenge! Will you join me in reading books by Australian author, Garth Nix?! His first book in the Old Kingdom series, Sabriel, is one of the books that got me into reading YA and I'm thrilled that Hot Key Books will be published a NEW BOOK in the Old Kingdom series called Clariel in September of 2014! I wanted to do this challenge last year but decided against it with the publication delay of Clariel. 2014 is the year though! I've collected a huge pile of books to get me going and I'm putting on my game face. See the determination? Let's do this. 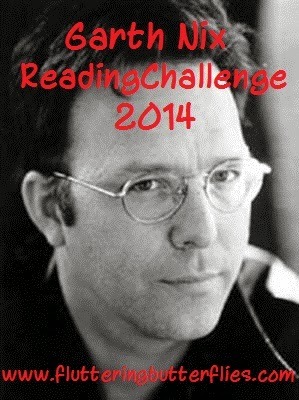 So what is the Garth Nix Reading Challenge? The Garth Nix reading challenge is pretty self-explanatory - for all of 2014 we are all aiming to read as many books by Garth Nix as possible. These can be new-to-you Garth Nix books or re-reads. They include any books written by Garth Nix. I've listed many of his books at the bottom of this post but I'm sure I've missed out a few. When signing up the reading challenge, there will be different levels to choose from. You can choose from anything to just 1 or 2 books up to reading his entire bibliography. It is up to you to decide how challenging you'd like to make it! For every book you review each month you will get an entry into the draw to win a monthly prize pack. Towards the end of the year I hope to do some kind of special prize draw for any readers who have gone the extra mile. Monthly and end of year prize packs are still in the process of being finalized and may have some restrictions to them. In that post/page write a list of the titles you hope to read. Add the reading challenge button (at the top of this post) to your sidebar. Fill out the Mr.Linky form below, make sure the link you add goes directly to your sign up post and has your blog name as the title. Links to anything other than sign up posts will be deleted and only people who have created a sign up post will be eligible to win the monthly prize pack! And finally, as you review the books on your blog also add your review links to monthly sign-ups on this blog! Ranna - the first bell, the smallest. A taster! 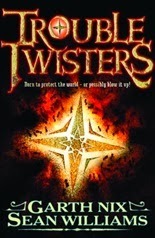 Read between 1-2 books by Garth Nix in 2014. Mosrael - the harsh, rowdy second bell. Walk farther into ... Garth Nix's stories by reading 3-5 books. Good option if you're only thinking of reading The Old Kingdom series. Kibeth - the difficult and contrary third bell. 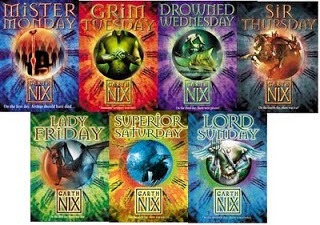 Reading 5-8 of Garth Nix's stories. Good option to choose if you're considering reading Keys to the Kingdom or Seventh Tower series. Belgaer - a tricksome, thinking bell. Most necromancers scorn this bell but please don't scorn this level by reading 10-15 in 2014! This works out roughly to 1 book a month. Saraneth -the deepest, lowest bell. Dig deep and challenge yourself to read 15-20 books. Astarael - the sorrowful. The final bell. 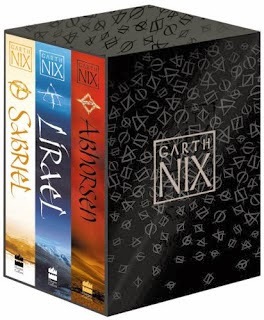 Challenge yourself to read 20+ Reading that many Garth Nix books will be a happy experience, I'm sure! So that's it! Please do sign up and join in this fun reading challenge with me! I freaking love Garth Nix! Sabriel is one of my favourite books of all time and also got me back into reading when I was younger. 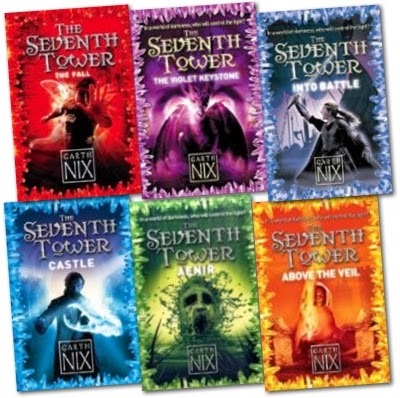 I've read a lot of his books but one series I haven't read that I would like to is the Seventh Tower. 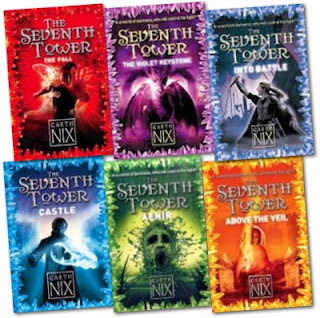 I own all the books in the Seventh Tower series but *gasp* I've never read them. 2014 will be the year that that changes! I'm very tempted to join this challenge Michelle! I've got to reread the Old Kingdom series before the new book comes out if nothing else but I never finished reading the Keys to the Kingdom series either so would like to reread that from the beginning. I was trying to sign up for less challenges next year but I'm going to have to join you :o) I'll get my sign up post written later this week!